Let’s have a closer look at the games of the best players. 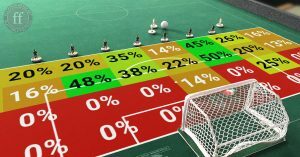 Which Subbuteo tactic leads to success? Which strategic mistakes should be avoided? In this episode of Flicking Forever’s tactic school, I analyze how Table Football champions line up when their opponents flick off. 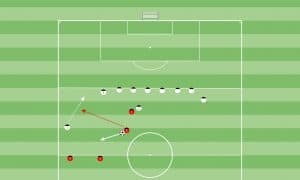 Learn how the classic 7-3-0 and other formations can build a strong defense. In the first episode, we will have a closer look at the opening flicks from Carlos Flores. See how the Spanish World Cup winner needs not more than 10 flicks within 12 seconds until he takes his first goal shot. Do not forget to subscribe to my newsletter and never miss a new episode again.